The struggle started early. 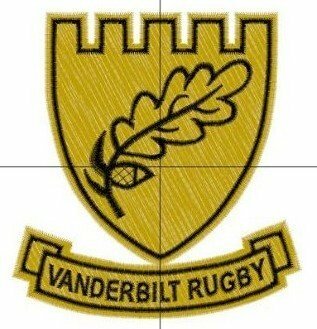 We had an agreement with Vandy for a kick-off time after noon so that we could drive up Saturday AM. So, they scheduled us at 11:00. Oops! That means that we will need to leave Memphis at 7:00am sharp and hammer down to get to the field on time. We got to the pitch at 10:30 and finally had the lads warming up at 10:45. With 15 minutes to wake up our bodies and our minds, I was very worried. And I had cause to be worried. We played Alabama B, a respectable team… but a team that we could beat, and we let them win the game. We gave the ball back on a multitude of turnovers… dropped balls, running into touch. We were not ready to play. Lost 15 to 7. An hour later we played probably the best team at the tournament. Southern Indiana University (Evansville) were fabulous and we played fabulous with them. We played the best rugby that I have ever seen us play. We came up short, but we didn’t embarrass ourselves like we did in the first match. SIU on top 20 to 7. Then we had lunch, slept and killed off 4 hours waiting for our next match. We were to face MTSU. We don’t mind playing MTSU; we just had rather played a team that was not in our conference. Maybe Tennessee or Kentucky? But to no avail. The MTSU match was classic Memphis – MTSU. Hard fought, crashing, passionate and fun to watch. (A yellow card and two reds spoiled the fun. Passions too high?) Though we were uphill in the first half, the Tigers held their own and the score was close. Then, the 40+ MTSU substitutes were rotated into the match. After 5 halves of play the Tigers could not stop the players with the fresh legs. Our scrums started to falter and our backs could not contain. Not sure what the final score was, but it was lopsided. However, the weekend was not without positives. The first try against Alabama was provided by August Myers who took the ball from Thomas Strickland and powered through several players to score the try. He has been dead lifting 425 lbs lately and he showed his superior leg drive in that play. Great job August. When we get close we need to get him the ball. Chris Lemons demonstrated toughness in contact to make two sweet offloads to Thomas in the SIU and MTSU games. Thomas showed his illusiveness and dashed for tries in each match. Defensive players were grabbing air. Thomas is the fastest player on the pitch and his defense has improved significantly over the past year. We are glad to have him standing at 11. Phil Elliott managed the kicks well. Kickoffs and conversions were well handled and his 10 play was impressive. Jonathan Brewi was rather solid in getting out some tough ball. He and Phil used the quick tap effectively. We worked on the defensive back line and learned a few things that we will be using going forward. Cameron Walton was solid at 13 and Freshman Donovan impressed us. Tezzio was ready but didn’t get enough ball. We need to get the ball out faster. The forwards have learned how to ruck low to the ground. Ian and company can protect the ball when they want to. Forwards also demonstrated good discipline at the defensive ruck and maintained onsides through the intensity. We won some good lineout ball and set pieces have started to gel. Our new players Ronnie and DJ are figuring out second row and Chris and Jonathan are solid at 8. Captain for the day was Adam Hairston. He managed his team well and marshaled his troupes effectively. He properly took care of the referee and kept his team focused on the prize. With that behind us, we go against Harding this weekend. They are no easy team. We had better bring our A game. We are just glad to be home playing at our pitch. Kick-off at 2:00. Come on out and watch the Tigers.